Q. 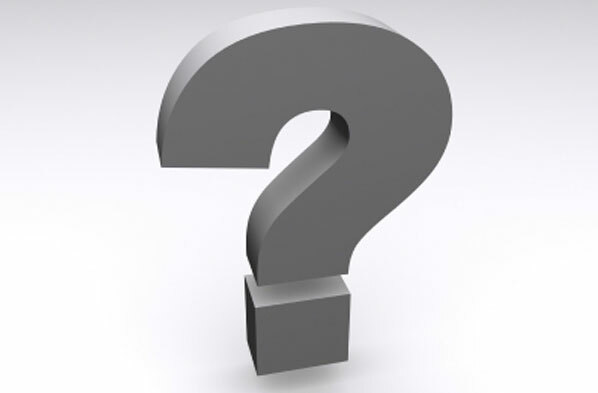 What should I expect during the consultation? A. Our estimators are highly-experienced and trained to guide you through the process step-by-step. A typical consultation will take about 30 minutes to complete. When your estimator comes to meet with you, they will walk the project with you to gather all of the information necessary to prepare your proposal. They will listen to your concerns, discuss your options, and offer suggestions that will help you to create your perfect painting project. Once we’ve clarified all of the details of your project, your estimator will prepare and review your proposal with you that outlines all of the services to be performed, along with the price for your project that's backed by our written iron-clad price guarantee; often times before they even leave your home. Q. What should I look for in a good painting contractor? A. There are many factors that you should carefully consider when choosing a painting contractor to work on your home. All painting contractors are NOT created the same. We’ve prepared a helpful guide to assist you in this process. Please review our “How To Choose” Guide that covers all of these factors in detail. You will find this guide located on our How To Choose page on this site and included with the informational packet that we provide with all of our estimates. Q. Where is the best place to locate good painting contractors if I decided to get multiple estimates before I make my decision? A. There are many resources available to you when you’re trying to locate additional options for painting contractors. However, there’s no guarantee that any of the random names that you’ll find in your local phone book or online will be reputable contractors. There are two excellence sources where we recommend you begin your search. First is the Better Business Bureau. At your local BBB.org website you can search for Better Business Bureau Accredited Painting Contractors in your area. On their website you can check out the contractors’ BBB rating and review if they have had any previously unresolved complaints from customers. Second is Angie's List. There are a myriad of websites that offer online reviews, but many of them are filled with bogus reviews - both good and bad - which prevent you from getting an accurate picture of the kind of company that you're interested in doing business with. Only Angie's List members pay for the privilege of joining a trusted online community where they know that the information they're getting from their fellow members has been verified, so they can be certain that the company they're selecting is reputable. Finally, there's the FindAPainter.com website. This is one of the Painting & Decorating Contractors of America’s website where you can search for PDCA painters in your area. The PDCA is the painting industry’s premier trade organization. They work with architects, engineers, and industry specifiers to set the standards for the way that quality painting work should be done. PDCA painters and better educated in proper techniques as well as the latest technological advances in the industry. Most importantly, PDCA painters pledge to follow these quality standards so you can feel comfortable that you are selecting a professional that will give you the best value for your money and who doesn’t cut corners on your home. Q. Why is there such a large difference in price from one painter to the next? Doesn’t every painter do the same thing? A. Assuming that all of the painting contractors that you’re comparing are an apples-to-apples comparison of licensed, insured, and bonded reputable companies, then one of the biggest reasons that you might see a large range of prices is in the Scope Of Work to be performed. The Scope Of Work outlines in detail what the contractor intends to do in each phase of the job to provide you with your finished painting project. Without a Scope Of Work in writing from your contractor you will have no way of being certain that they intend to follow all of the necessary steps to do the work correctly, and you will also have no means of accurately comparing their bid with the others that you receive. Make sure that each contractor who provides you with a bid for your project includes a written Scope Of Work with their proposal. Q. Why do I care if my painting contractor uses “high quality” paint? I thought all paint was the same? A. After you’ve gone through the effort of researching reputable contractors to provide you with bids and you’ve decided to make the investment of time and money to have the work performed correctly, don’t let the temptation of potential savings on material costs ruin the quality and longevity of your project. All paint may look the same in the can, but that’s where the similarities end. High quality paints utilize better ingredients and less fillers which equates to a longer-lasting paint job. Low quality exterior paints tend to chalk, fade, peel, and crack – whereas higher-end products will stay looking beautiful and protect your home for much longer; and are backed by a better manufacturer’s warranty. Low quality interior paints don’t cover as well – causing the contractor to use more material to complete the job. If you’re someone who likes to keep their walls clean, low quality interior paints tend to scuff easily and not wash well, and they typically having a stronger odor that lingers in your home during the curing process, which can take as long as 30-days. If you want the best value for your money, don’t let your contractor talk you into skimping on the paint quality just so they can give you a lower bid and come back sooner to paint your house again. Q. How do you apply the paint? A. We use a variety of application methods; from brush to roller to airless spray application. Our method of application will depend on what best suits your particular situation and your comfort level, but it will always be the method that will provide you with the best quality finish possible. Q. How many people work on your painting crews? A. The size of our crews will vary depending on the Scope Of Work to be completed. We typically utilize crews of 2-6 painting professionals to maximize productivity. Q. How long will my painting project take to complete? A. Each painting project is unique. Depending on the Scope Of Work to be completed your estimator will discuss with you the projected start date and completion date of your project before work gets under way. However, the vast majority of our painting projects take less than a week to complete; even whole-home repaints. A. With our 100% Satisfaction Guarantee*, we guarantee that you will be 100% satisfied with the quality of our workmanship and the products that we use. We will perform a thorough walk-through with you prior to completing your project to ensure that you are happy with every detail. We also offer one of the best warranty programs in the industry to give you the peace of mind that your painting project will continue to look just as beautiful in the future as it does the day it was completed. Compare our industry-leading 3-Year warranty program to our competitors’ warranty programs and you will discover that you won’t find a better warranty offered in the industry. Q. OK, I’ve decided to hire you as my painting contractor. Where do we go from here? A. We want to make the process as easy on you as possible. Just contact your estimator or call our office to let us know that you have accepted our proposal. They will schedule your project, get a list of your color choices, and set an appointment for you to sign the job contract. We’ll handle all of the details and stay in constant contact with you throughout the job to keep you updated on the progress. Q. What if I need help in selecting colors? A. We have provided an extensive selection of resources for you to access on our Color Help page to assist you in selecting your colors. From apps for your smart phone to free virtual painting software that allows you to paint digital photos of your home to discounted professional design services through our partnership program; we have all the solutions to your color dilemmas. Q. What can I do to help make the project go more smoothly? A. One of our main goals is to complete your project with as little disruption to your schedule as possible. Before your project starts we will provide you with a list of things that you can do to help us to complete your project as quickly and smoothly as possible. Q. Who will be there to answer my questions and address my concerns throughout the project? A. It is of utmost importance to us that we keep an open line of communication with you before, during, and after your project. As such, you will have more than one point of contact during your painting project. You can feel free to contact your estimator, or talk to your crew leader or production manager, or contact our office staff at any time to address concerns or answer any questions you may have whatsoever. Q. What if I have some changes that I would like to make or additional work that I would like to have the crew take care of while they’re already at my home? A. We encourage you to feel free to talk with your estimator, crew leader, or project manager if you have changes that you would like to make or additional work that you would like to have completed. In most cases it is more cost-effective for us to issue Change Orders or Additional Work Orders during the course of the project than for us to come back after the project is complete. We are always happy to accommodate your requests! If you have any additional questions about your project or the services we offer, please feel free to give us a call in the Pittsburgh area at (724) 898-2446 or (412) 835-2446, or in the Tampa area at (813) 570-8800...or fill out our Contact Us form and we'll respond to you right away. 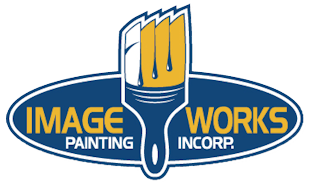 *ImageWorks Painting guarantees that you will be 100% satisfied with the quality of our workmanship and the products that we use. Our staff will perform a thorough walk-through with you prior to completing your project to ensure that you are happy with every detail. We also offer one of the best warranty programs in the industry to give you the peace of mind that your painting project will continue to look just as beautiful in the future as it does the day it was completed. Please feel free to contact us to request a copy of our complete warranty program details.